A few weekends back Jesse and I took a much needed weekend getaway up the coast to Santa Barbara. Neither of us had ever been for vacationing purposes, and really wanted to go somewhere relaxing, where we could bring the dogs and do a little bit of easy sight-seeing. (If you’re interested in downloading the app, you can get it here if you have iOS and here if you have Android). 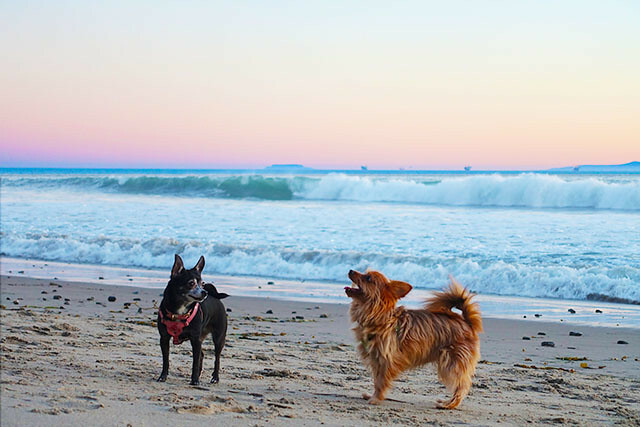 We stayed at the Hyatt Santa Barbara which has dog-friendly rooms, woo hoo! We had an amazing view of the ocean and probably the biggest, most comfortable bed I’ve ever slept in – I wanted to take it home with me! All of the employees here are super friendly and it made for such a relaxing stay – we will definitely be back. We drove up on Friday afternoon, so after a few hours in the car we knew we needed to get the dogs out to run around, and we also wanted to see the sunset! 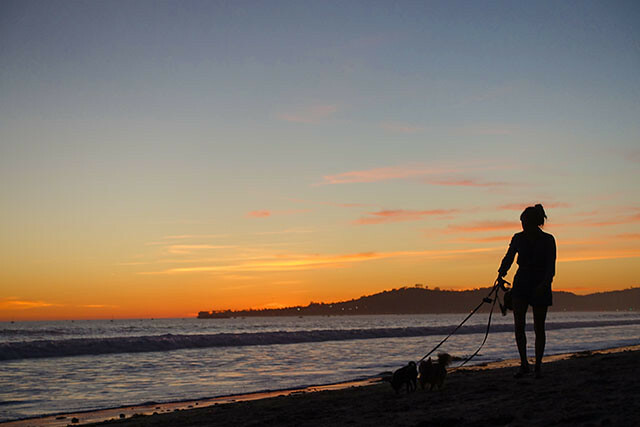 Butterfly Beach is dog friendly so we were able to let the pups off their leashes to run and get out some pent up energy, and the sunset view was pure perfection for us. 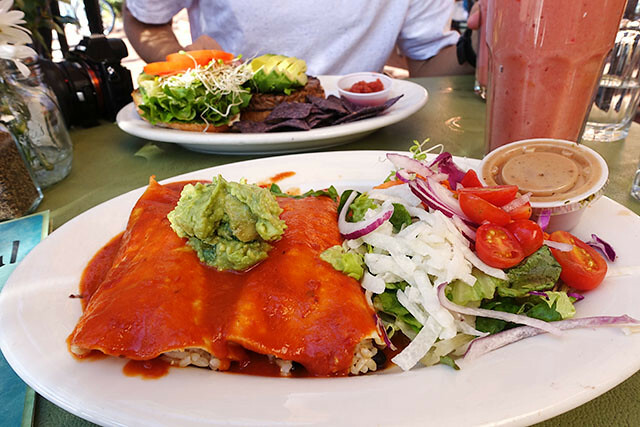 This restaurant was the first vegan restaurant that popped up on Yelp and it is up there with some of the most delicious vegan food we’ve ever eaten. I really don’t miss many foods being vegan, but it’s hard to find a replacement for aged cheese with wine… until now. 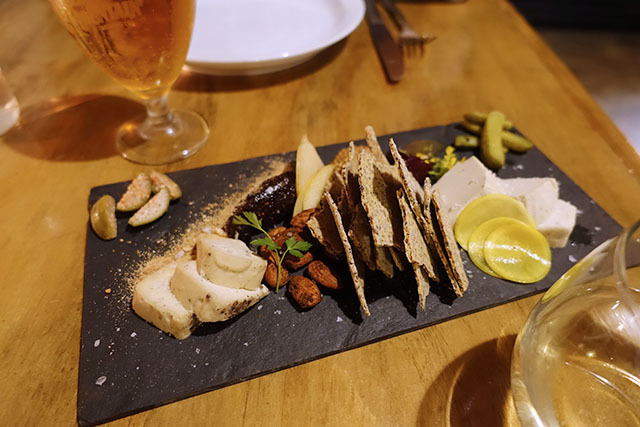 The cashew cheese board at Mesa Verde is in my opinion is BETTER than real cheese. (Especially if you’re lactose-intolerant…no stomach ache). 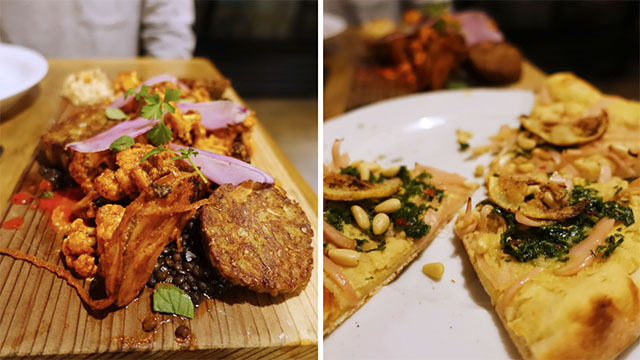 It was hard to choose our entrees because everything on the menu looked so delicious, but we ended up splitting the Roasted Cauliflower and Tahini Pizza and we were not disappointed. This place had a great patio for our dogs, and was really close to a lot of other shops and restaurants. They are not completely vegetarian or vegan but they do have a lot of vegetarian options that can be made vegan with adjustments. I had the black bean enchiladas with no cheese or sour cream and J had the Good Karma burger without mayo. We also got the S.B. Special and Lisa Fellini smoothies — both were incredible. We were both craving smoothies as this day was pretty hot but you’d be surprised that most places we found in SB put yogurt or sherbet in their smoothies… not The Natural Cafe though! 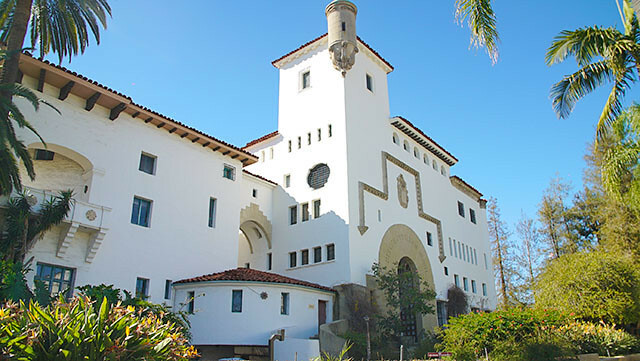 I had heard the architecture in Santa Barbara is amazing, and that the courthouse was a prime example of that. We didn’t get to see too much of the inside because we walked over straight from lunch and had the dogs with us, but what we saw from the outside was stunning. This is the first winery in SB so we had to pay homage by doing a wine tasting here first. This place is dog friendly, so if both of your dogs are well behaved (I have one that was quite loud here…cough Zoey) I highly recommend coming here with your furry friend. Zoey’s poor behavior is also why I did not manage to get a picture here…(I love her still, I promise). We dropped off the dogs before heading over here, but I did see dogs there so it looked like they might be dog friendly as well? This spot has a great outdoor atmosphere and they had a live band playing in the evening which was really nice. Sushi will never be the same for me after eating at Arigato. 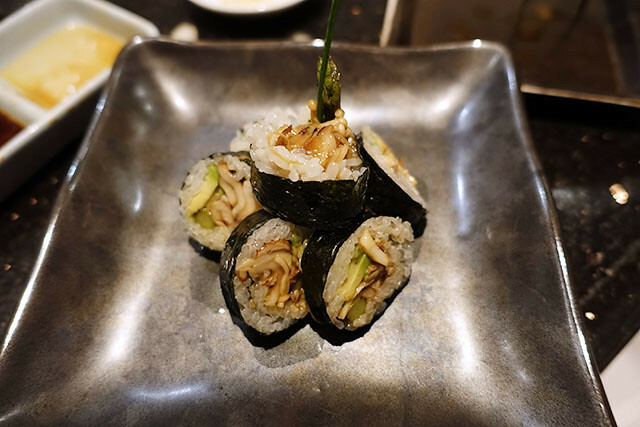 Most sushi restaurants have a few vegetable roll options on the menu but it will typically consist of an avocado roll, a tofu roll and a vegetable roll with avocado, cucumber and carrots. Not that the aforementioned rolls are bad, but there’s something nice about trying a unique “specialty roll”. 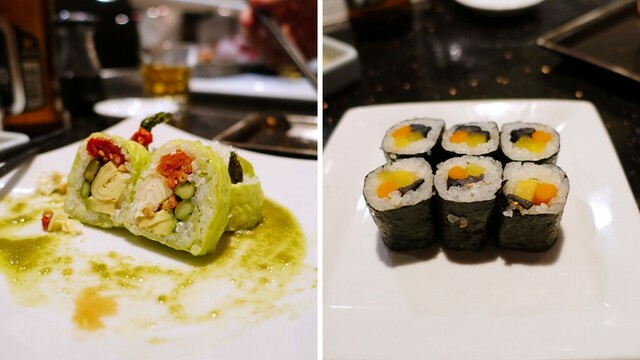 We had the Magic Mushroom roll (top) which was by far the best sushi roll I’ve ever had in my life (fish or no fish). It consists of sauteed mushrooms, asparagus, avocado and is topped with truffle oil. We ordered 3 of these rolls, and devoured each one in seconds. We also had the Meditteraneo (left) which was also unique and delicious and Pickled Vegetable Roll (right) which was much more simple but also tasty. This post is a result of a collaboration with Circle.com… all opinions are 100% my own because I love to share useful products that I truly believe in. Great photo diary and thanks for letting us know about the Circle app, might come in handy! I am seriously interested in trying out Circle Pay! I'm curious though, does the other person have to have Circle Pay as well in order to send money? I know a few people who use other apps, and some might not want to download any app. Hmm… great question! 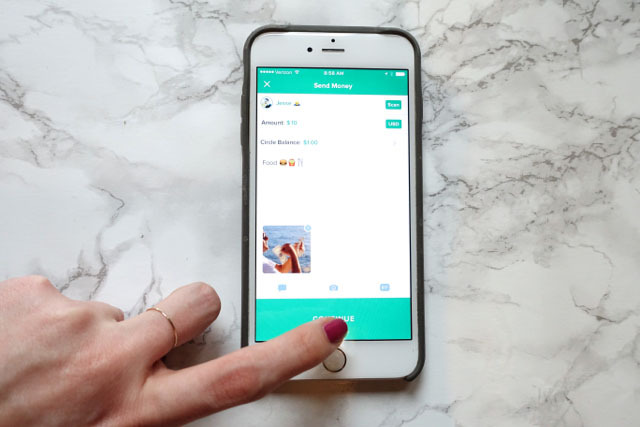 I believe you could send the money to them without them having the app…but if they wanted to withdraw that money to their bank they would need to download the app. 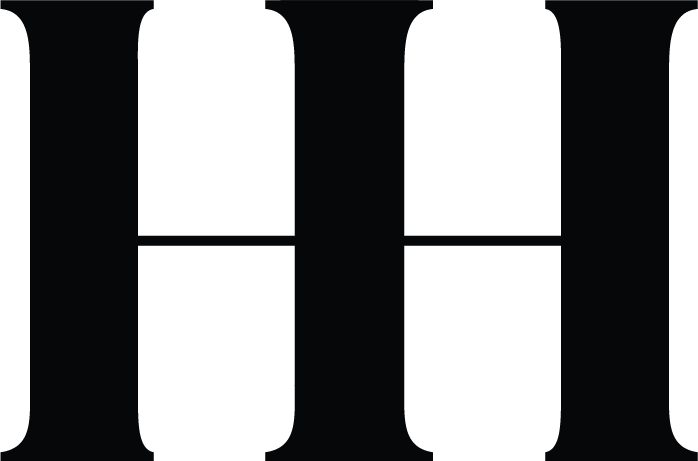 It is free and really easy to use, but I totally get people not wanting a million apps. Love your circle purse. It's just what I'm looking for! 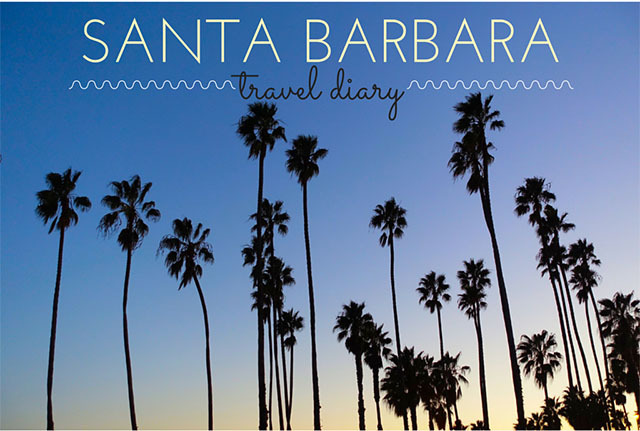 Thoroughly enjoyed reading your travel diary!